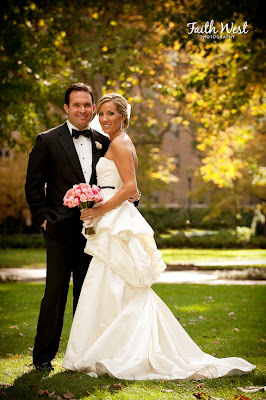 Here is another beautiful Labor Day weekend wedding! 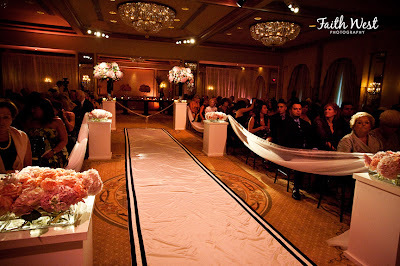 This wedding was just featured on Style Me Pretty yesterday and is filled to the brim with amazing details! 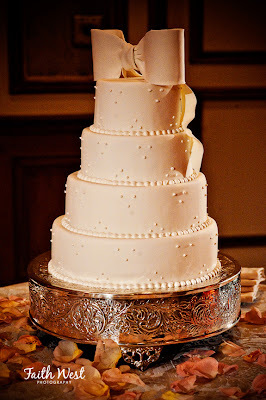 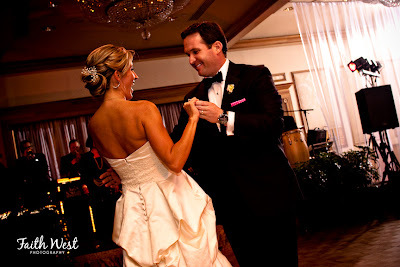 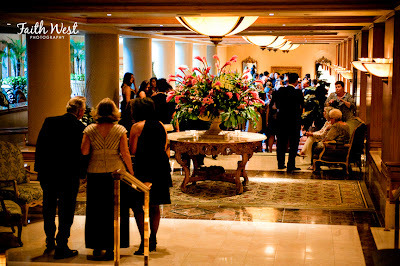 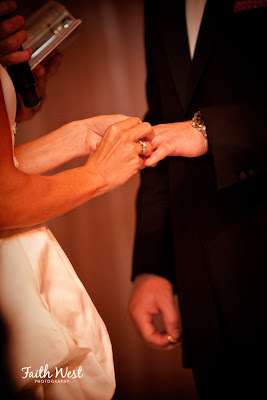 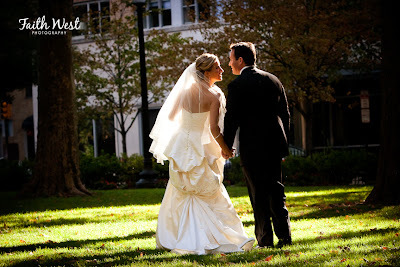 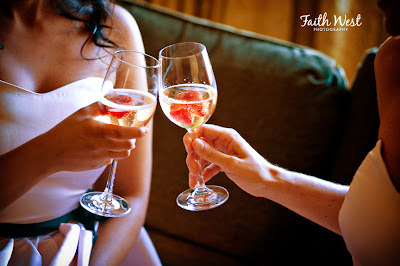 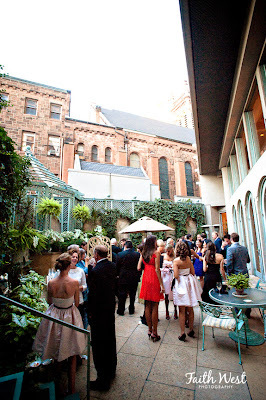 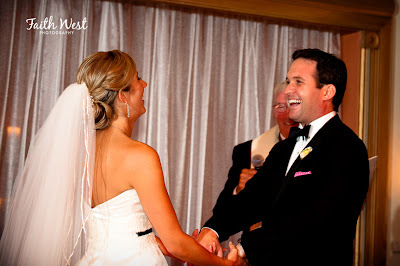 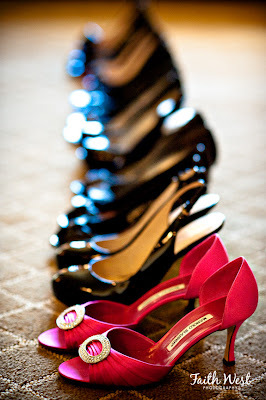 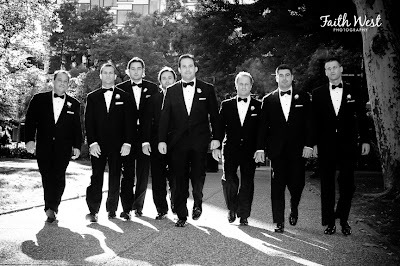 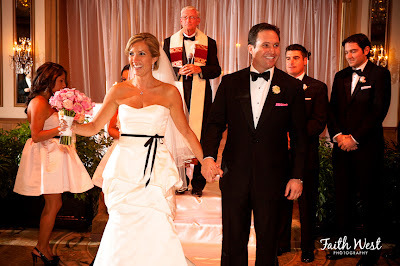 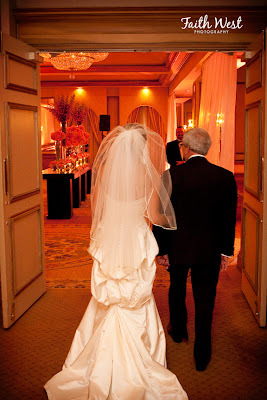 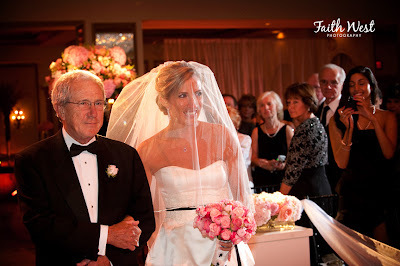 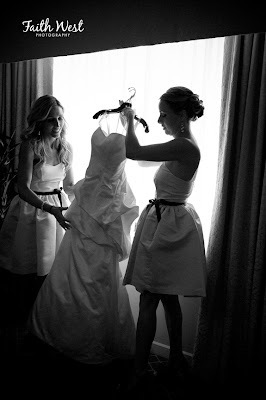 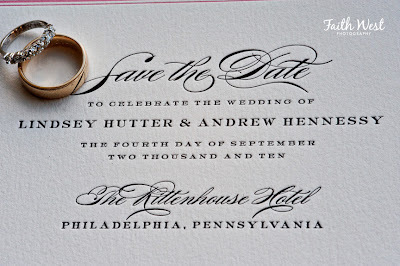 Lindsey and Andrew held their ceremony and reception at the Rittenhouse Hotel in Philadelphia. 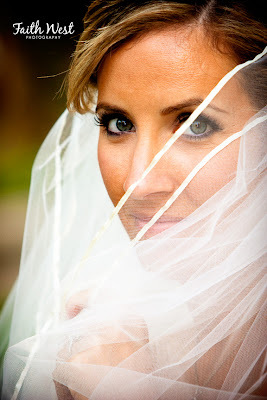 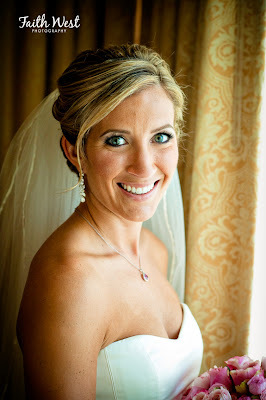 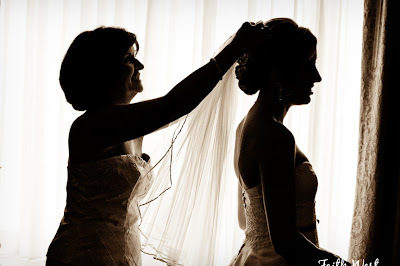 The wedding day started with hair and makeup done by Cali of Calista Brides. 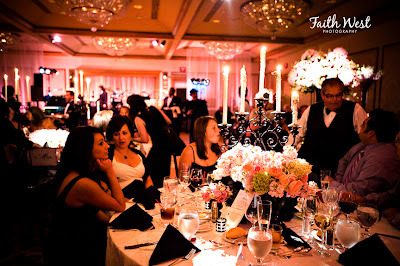 Everyone looked lovely and Lindsey's hair style was classic and elegant. 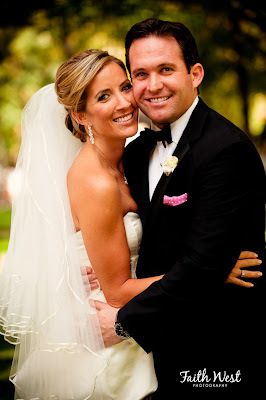 Their wedding was a classic color scheme of black, white and pale pink. 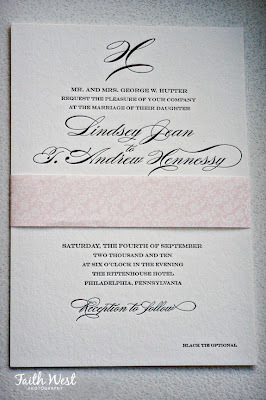 We did their reception stationery and took a cue from their wedding invitations, done by the Papery of Philadelphia, to keep a formal feel going throughout all of the paper. 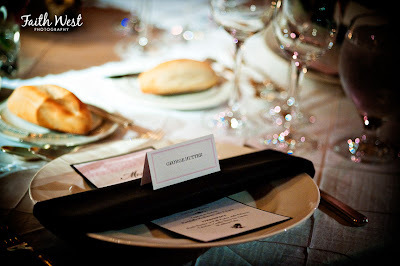 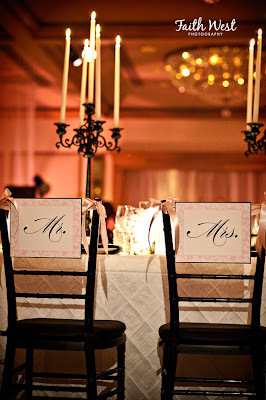 We did their ceremony programs, place cards, table numbers, menus and chair signs. 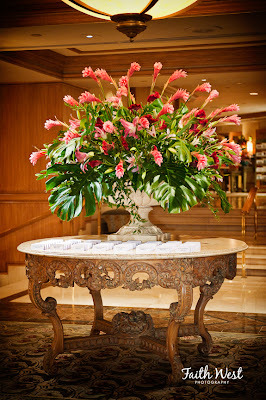 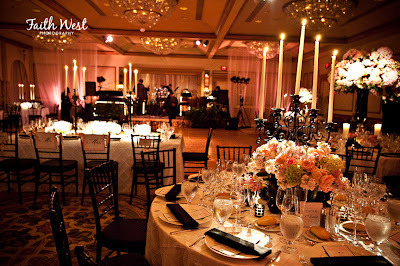 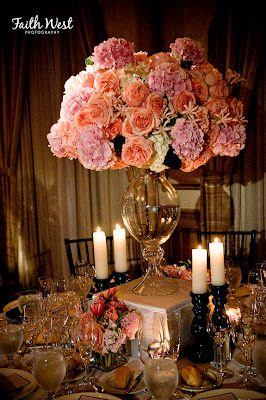 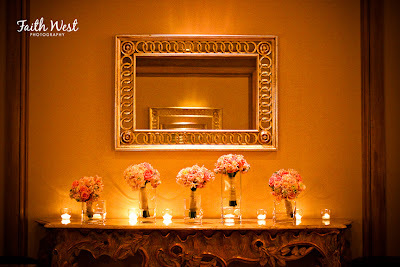 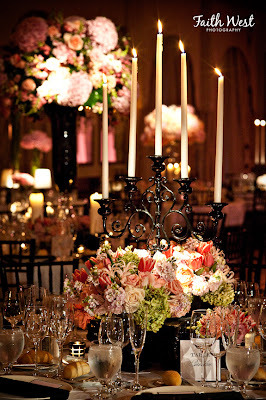 The gorgeous flowers were provided by Evantine Design, along with the pink up lighting for the room. 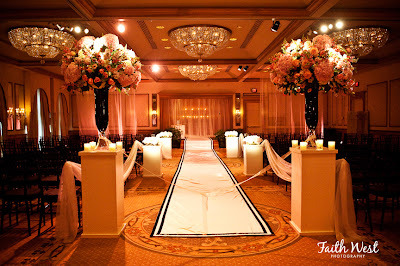 This room was absolutely breathtaking! 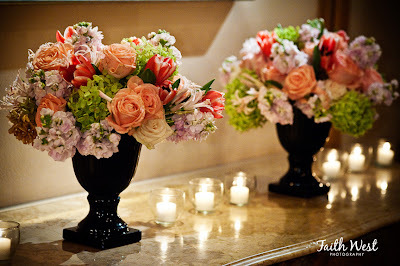 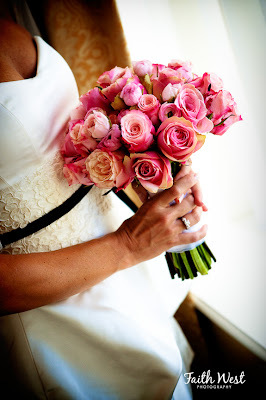 The flowers were mixes of highs and lows and were different shades of pinks mixed with greens. 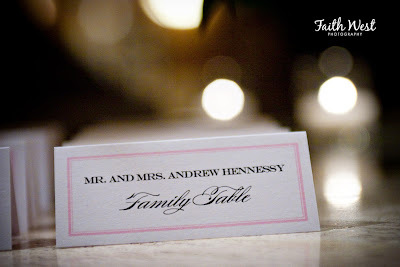 We love the family table that was used instead of a sweetheart table or head table. 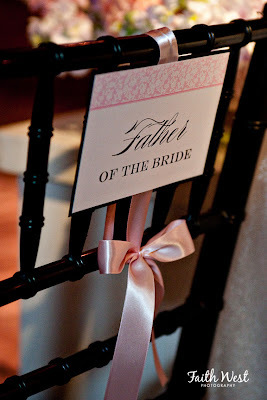 It makes your family stick out as VIP's, without taking up a lot of room. 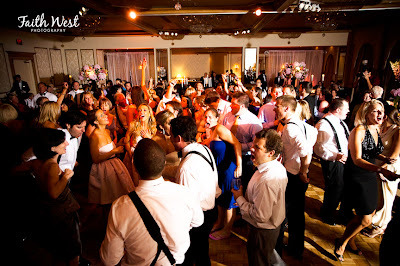 Janis Nowlan Band kept the guests on the dancefloor all night and Tweed Weddings captured it all on film. 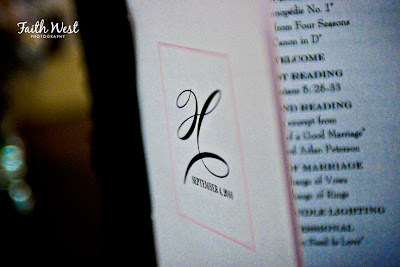 You can see Lindsey and Andrew's wedding highlight videos here. 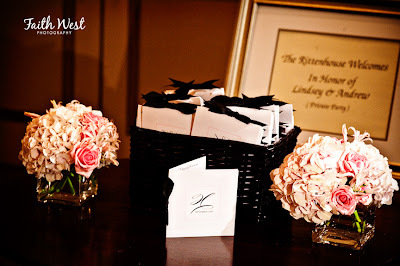 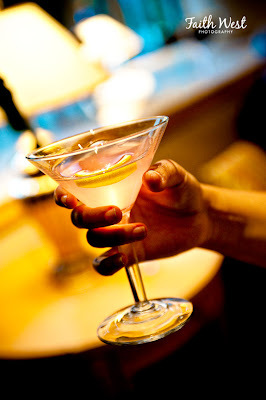 A big thank you to Faith West for these fabulous images! 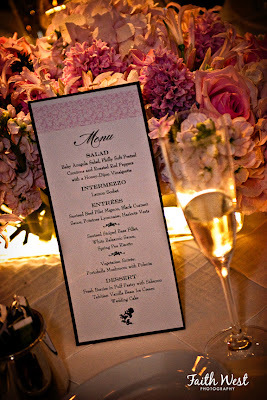 All of the details were documented perfectly!